Part 1 shows Lynn coaching one of her students through several of the exercises. These are slightly more advanced moves to give you a better foundation and marked improvement with proper technique. Demonstrating proper form and modifications of the exercises, she breaks it down, shows the do’s and don’ts as well as proper breathing and body alignment. Part 2 shows Lynn coaching her student through the entire workout – nonstop. Do it along with her for a great workout! Be sure to watch part 1 a couple of times before attempting part 2, so you’ll have a better understanding of how to execute the exercises properly. Let Lynn be your own personal trainer by doing this express workout 3-4x/week! This video is a beginner/intermediate routine that will establish you with a “firm” foundation. 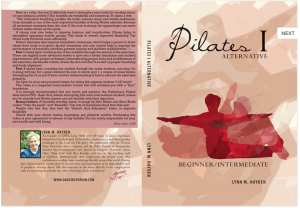 It is strongly recommended that you watch and practice the Preliminary Pilates Alternative DVD – Basic first, before attempting this more intermediate workout, unless you’ve already had Pilates classes and are familiar with their execution. 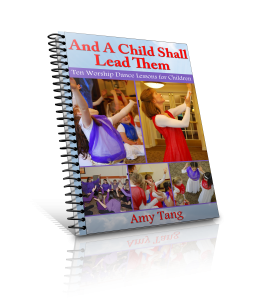 Bonus feature: A beautiful worship dance to songs by Julie Meyer and Anna Blank called, “Unto the Lamb” and “Beautiful.” Get lots of movement ideas from this one! 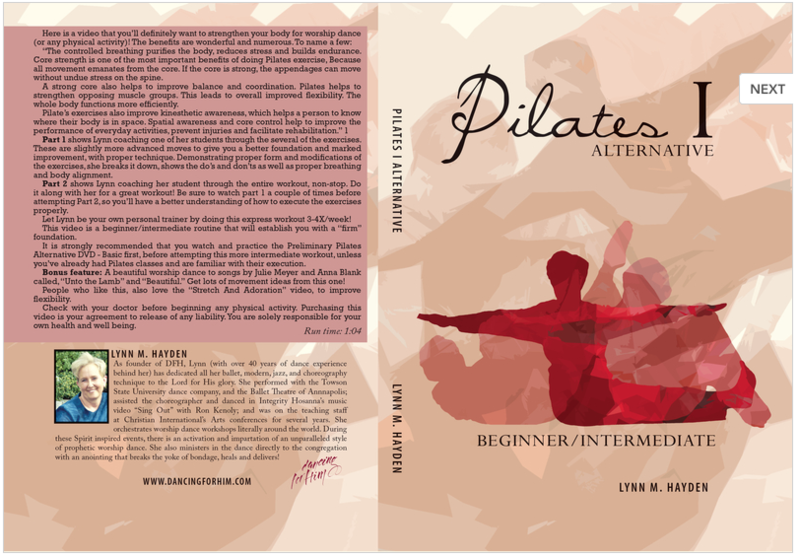 Order your copy today and start feeling great! People who like this, also love the “Stretch And Adoration” video, to improve flexibility. Check with your doctor before beginning any physical activity. Purchasing this video is your agreement to release DFH Ministries and Worship Dance Ministries of any liability. You are solely responsible for your own health and well being.